REGINA, SK – Following the overnight line-up and excitement for last weekend’s annual Blackberry Mead release at Bushwakker Brewing, this year’s batch of the brewery’s “second most popular” Christmas brew is set to follow this weekend. Rich malt flavours with plenty of depth and complexity abound. The perfect ale to sip on whilst curled up with a good book in front of a fireplace on a cold Saskatchewan winter night. 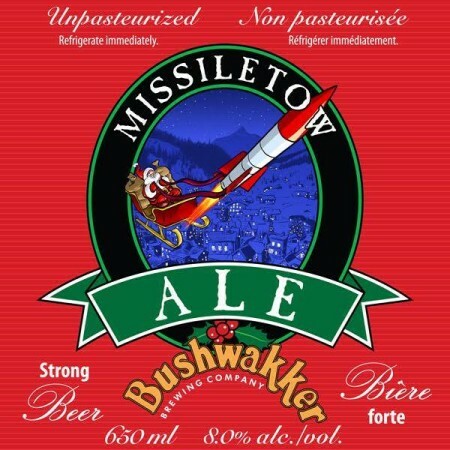 A limited run of 650 ml bottles of Missletow will go on sale Saturday December 8th at 11:00 AM in the brewery store. It will also be served on tap at the brewpub while supplies last.